Mitsubishi didn’t gain enough appreciation with its Mirage in fact he subcompact model has been the lowest rated car back then. 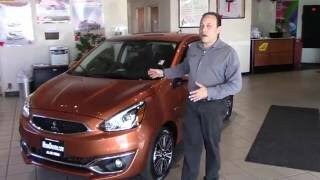 However it looks things have changed and for the year 2017, company introduced its Mitsubishi Mirage GT 2017 at the 2015 LA Auto Show. Let us have a look at the review of Mitsubishi Mirage GT 2017 to know in detail about the changes and modifications made by the company. The interior of Mitsubishi Mirage GT 2017 being faced lot of criticism in past, company decided to give it a good round of overhaul. The round of changes includes, change of seat fabric and of the steering wheel. Behind the steering wheel is new gauge cluster. The shift panel too gets a little work to join the legacy around. However in this entire thick and thin list the major sight of attraction is with the infotainment system. The system now features optional Rockford-Fosgate stereo system. Model comes with both Apple CarPlay and Android Auto. The integration is done for the first time and narrates that company took the criticisms very seriously. 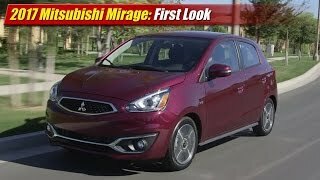 Thus rounding up the interior details of Mitsubishi Mirage GT 2017 all I would say is, let that be in the list of options but company chose to deliver some great stuffs to its buyers. The exterior of Mitsubishi Mirage GT 2017 gets far more attractive in comparison to the predecessors. The change plays a major role in the front fascia, where you’ll notice a new grille sitting amidst the new set of headlights. The setup below has a newly designed bumper with fog lights splattering an attractive stance. Moving towards the rear end we again have entire new setup. The list begins with newly designed bumper and spreads till the redesigned taillights and spoiler. 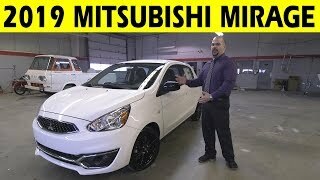 Thus rolling over those new set of wheels and these all changes the exterior of Mitsubishi Mirage GT 2017 is a great revival and feels like the new aggressive look might gain some new buyers to the company. 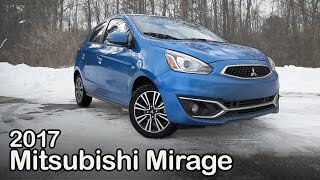 Beneath the hood of Mitsubishi Mirage GT 2017 is the efficient 1.2 liter MIVEC DOHC 12-valve three-cylinder engine generating total output of 78 hp and peak torque of 100 nm. 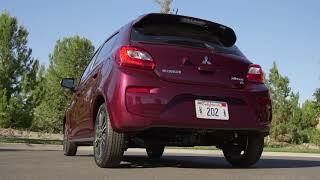 The performance figures of Mitsubishi Mirage GT 2017 are not shared but yes we expect them to have the details in near future, especially the fuel economy numbers as the new engine and company’s claim is much focused on it.